Just because there isn't any visible damage like a scratch or dent don't assume that your water heater wasn't damaged during shipping. 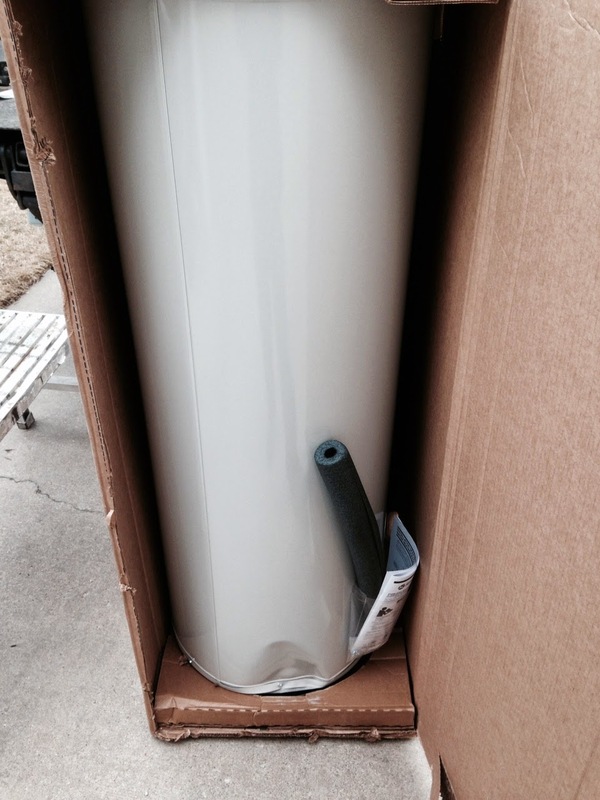 The inside of a water heater is lined with glass which is going to be greatly compromised if the material is cracked. A cracked glass liner won't result in the tank leaking immediately but will definitely have an impact on the overall life of the tank. While most of our water heaters come in on a big truck, occasionally we have to special order a water heater that is not typically stocked. During special order water heaters have a much higher incident rate. The scary thing about that is you can't always tell if a water heater has been dropped or fallen over. Whenever someone has a problem with a product their first thought is to take it back to the store they bought it from, or call the person who installed it to have them swap it out with a new one. A water heater is a little more of a challenge to return because you have to drain it and uninstall the water heater before you can take it back. In most cases you will also have materials that will need to be purchased in order to install a new one. The warranty period for most water heaters is at least 6 years. Trying to ship a water heater back to a seller that sold you a water heater from 5 years ago could certainly be a challenge. Even if you are able to get in contact with the original seller, sending back a 300lb water heater is a challenge in itself. In many cases a tankless water heater must be purchased along with the necessary intake or exhaust venting materials in order for the warranty to be honored. Other manufacturers of standard water heaters such as Bradford White and AO Smith have started to require thermal expansion tanks to be installed on all commercial tanks. If the tank wasn't installed in accordance with plumbing code the warranty will not be honored. As a professional who replaces water heaters everyday, I am amazed in how many water heaters have code violations that often impact the reliability, performance, and safety of the tank. A water heater should only be installed by a licensed master plumber who has the experience and and skill set to safely complete the installation.